This is an original rough concept drawing created by Disney Imagineer during his development for The American Adventure attraction at Epcot. 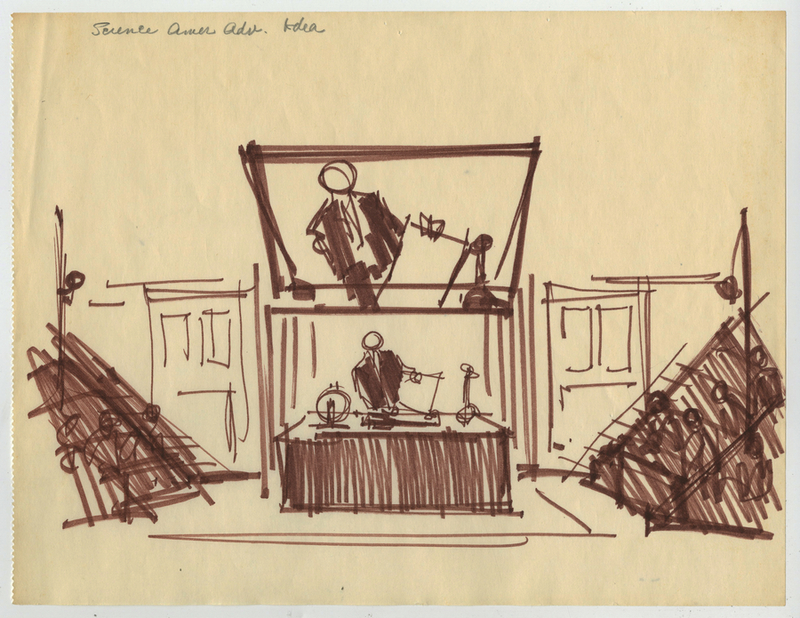 This concept drawing features an idea for one of the science scenes, and was originally kept by the artist as part of his personal archives of his work. The overall measurements of the piece are 8.5" x 11" and the image itself measures 6" x 10.5". The paper is delicate, but is in good condition with minimal edge wear.